Atrial fibrillation, a cardiac arrhythmia commonly referred to as AFib, affects nearly 30M people worldwide. 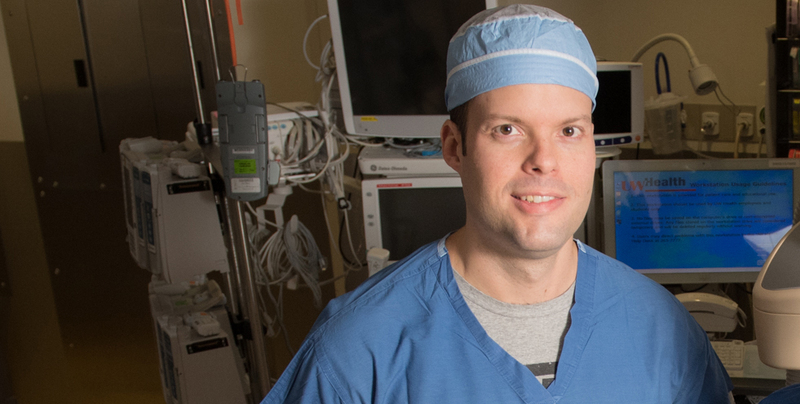 Miguel Leal, MD, assistant professor (CHS), Cardiovascular Medicine, spoke on the Larry Meiller Show on Wisconsin Public Radio about current clinical management approaches and research on AFib. "This arrhythmia does cause a lot of trouble for a significant number of patients as a consequence of the loss of synchrony of the natural heartbeat," said Dr. Leal, explaining that the condition is most common in people over the age of 60 although it can happen at any age. The unsettling, fluttering or quivering heart rate is uncomfortable at best and can lead to more serious cardiovascular conditions at worst, including stroke.